This page looks at the process of attaching the neck to the body - and to some degree rehashes some of the material on other pages. I use a traditional dovetail joint to attach my necks to the body. (Technically it is a tapered dovetail). I use this technique (as opposed to bolt on necks, for example) for a variety of reasons. Partially I am a bit of a traditionalist, and this is the traditional method. I am used to it - I have been doing it for 30 years and am quite familiar with it, and pretty good at it. When I started no one was using bolt on necks and there was no hardware to make it an easy choice. 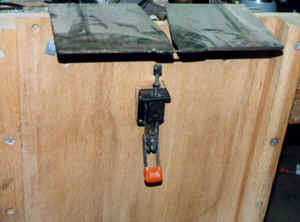 I do not believe that a dovetail is "better" than other methods - it is just the way I do it. There seems to be a lot of controversy these days over which method is "better" - and I think this is silly. Either method (and there are others as well) is just fine if executed well. Here I am fitting the neck dovetail to the body. There are several adjustments to make (depending on how accurately my jigs (above) worked. The neck (fingerboard) must be centered on the centerline of the body. In addition the neck is slightly angled back from the plane of the top so that the bridge will be the correct height. (More about both of these later) Most of the adjustments are made to the sides of the neck (the cheeks) which rest on the sides of the guitar. This is where the angle of the neck to the body is corrected -- both side to side and the angle back from the plane of the top. After these adjustments are made, I correct the dovetail itself so that it fits tightly in the cavity in the body. 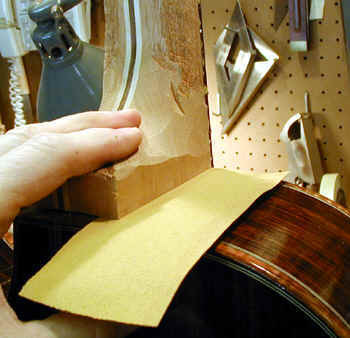 The last step in fitting the neck is to carefully perfect the joint between the body and the neck. To get a perfect fit I place a small sheet of sandpaper between the body and the neck, hold the neck in tightly and slowly withdraw the sandpaper. The result, with only a few strokes, is a perfect fit. 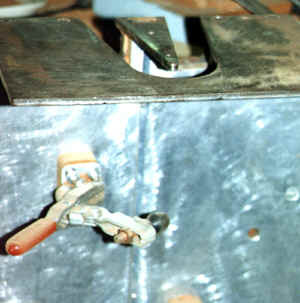 Another photo of the same step. These days I do most of this "slip fitting" before the neck is finished, and before all of the lacquer is on the body. This is because the slip fitting sometimes leaves small scratches in the finish, and this makes it easy to eliminate them. Gluing in the neck. 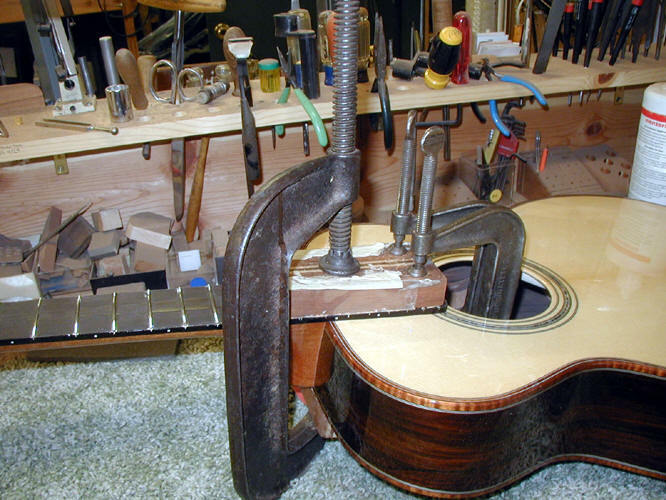 the big C clamp I have used on virtually every guitar I have made.